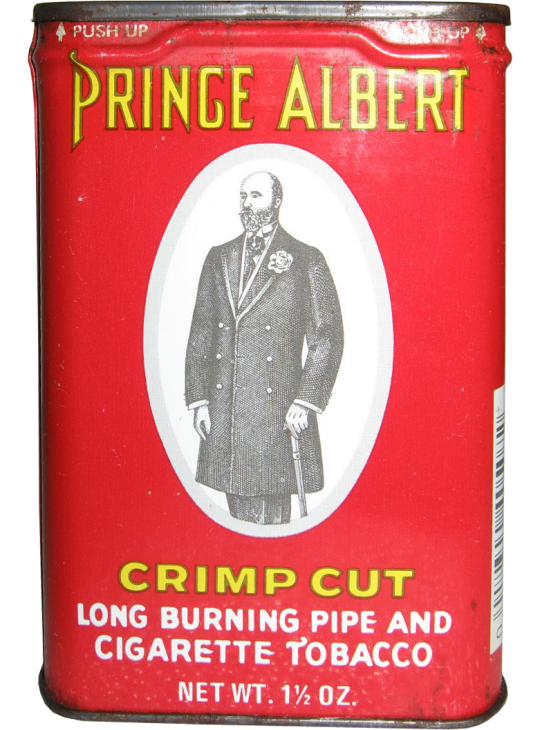 It’s quite likely that the most common tobacco tin you will see is the Prince Albert tin. While there aren’t a whole lot of variations and any of these tins are going to be worth about $5. Still, it’s a tin seen in almost every collection because even though they are common tins, they still look good and it’s a great way to start building a collection for newcomers. 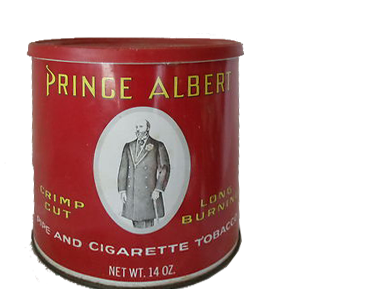 As we saw in the last post, the Prince Albert Brand was a major success for R.J. Reynolds Tobacco after being introduced in 1907. What is truly amazing is that the design of the tin has been very consistent with modern tins looking almost identical except for recent changes.